A note, D say, is sharp in the left hand. In the same bar, another D, an octave above the sharp one, is also played, this time by the right hand. There is sometimes a natural symbol on the upper note. I get quite confused at that point, since I was expecting it to be natural. I often mentally trip, looking back to see if I had played that D wrong if it ever came up before, since a natural, in my head, undoes an accidental. First, is this a customary practice? Second, any tips on how to get over my mental hiccup? It depends on the style of the music, and also "how you are reading it". If you are reading one note at a time, then it might trip you up. On the other hand if you are reading in "chunks" in terms of the harmonies and chord progressions, it can be a very useful warning. There are many different conventions used by different publishing houses for these cautionary accidentals - just learn to get used to them. 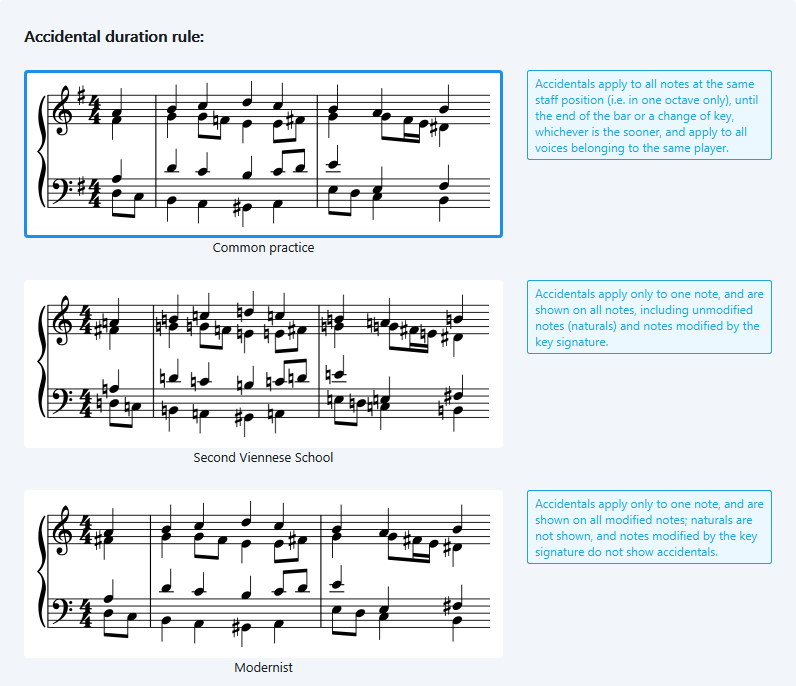 This is just a selection of the options that one professional music notation application can apply automatically - music notation isn't as "simple" as it might first appear to be! 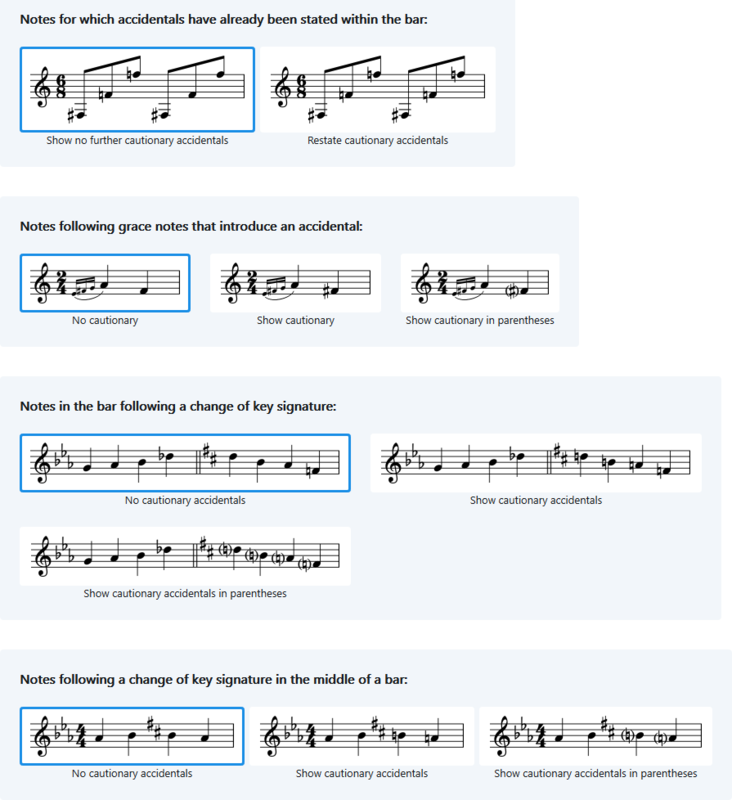 To get over that mental hiccup, at least you found a good piece with courtesy accidentals that forces you to realize that accidentals apply only to the octave they're in (I prefer all my courtesy accidentals to have parentheses around them, though--does that piece in the question have parentheses around that natural sign?). Find more such pieces if possible and practice with them first. 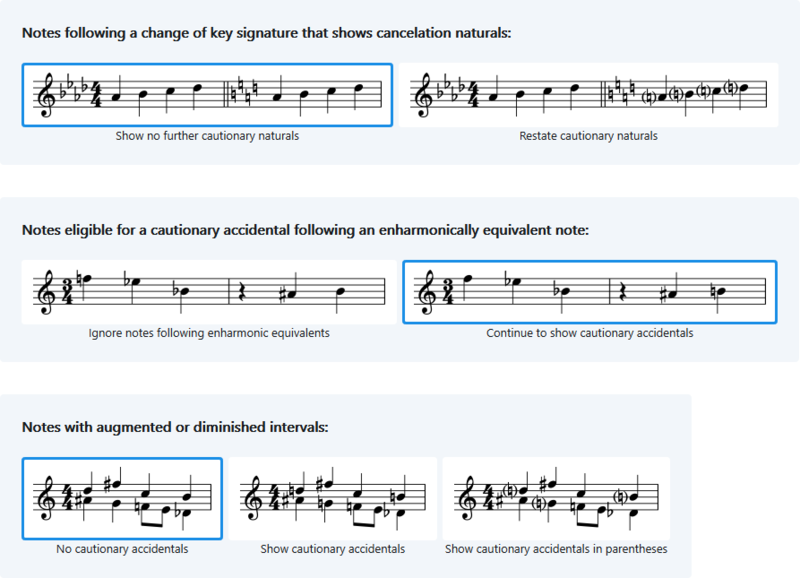 Quick answer - yes, it is common for 'cautionary' accidentals to be used. Often they will be in brackets. Sometimes they're a matter of house style. Sometimes they're essential. We can argue over whether the lower E in this example technically requires a natural (probably it does). But I have frequently seen this sort of thing 'corrected' in pencil by students or teachers not tuned in to today's pleasantly astringent harmonies! Not the answer you're looking for? 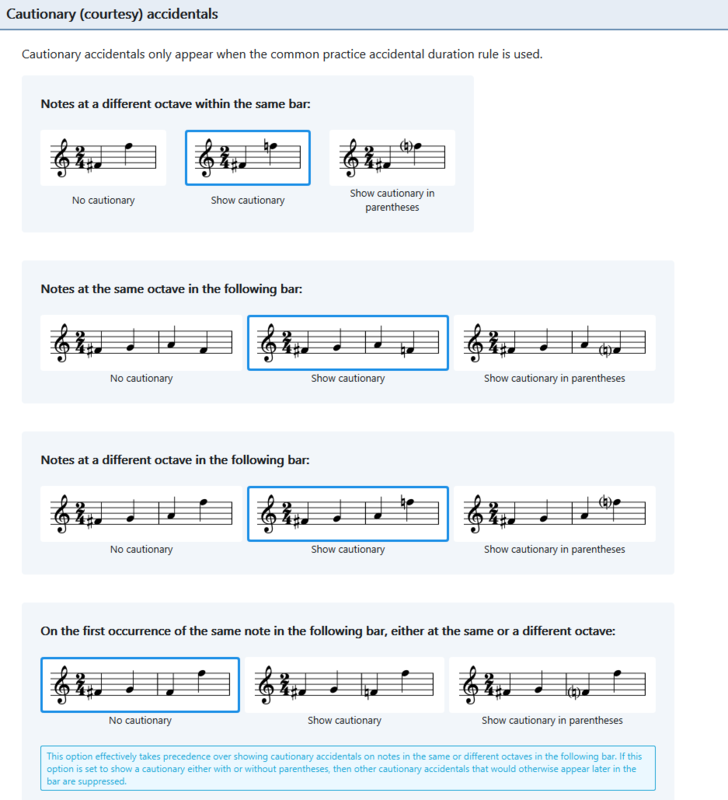 Browse other questions tagged piano notation practice sight-reading accidentals or ask your own question. Can the the same note be trilled two different ways? Why are the same notes written on different staves?